Former Feinberg prof. Alice Dreger. A conservative-backed civil liberties group named Northwestern one of the worst colleges for free speech, citing a 2015 incident with Dreger. Northwestern is once again on the radar of a civil liberties group critical of the University’s handling of two instances it says violated professors’ free speech. The University was named one of the top 10 worst colleges for free speech in a ranking released Monday by the Foundation for Individual Rights in Education, an organization that describes itself as a nonpartisan civil liberties advocacy group. The group is funded and supported by conservative organizations. The organization cited two instances — the alleged censorship of a journal containing an essay that described a sexual encounter and investigations into a professor for published pieces on the Title IX process — which it says demonstrate the University’s hostility toward academic free speech. The ranking comes at a time when free speech policies are being debated on campuses across the nation. While much of the focus has been on controversial speakers and student protest, Northwestern was flagged specifically for academic free speech. “It’s really the only university on our list where academic freedom was our main concern,” said Nico Perrino, a spokesman for the Foundation for Individual Rights in Education. A University spokesperson declined to comment for the story. This is NU’s second time on the list — the first was in 2016, when the Foundation denounced the months-long Title IX investigation into Communication Prof. Laura Kipnis after she published an article criticizing University policies regarding relationships between faculty and students. Kipnis was condemned by many students, but she was cleared of any Title IX violations by investigators hired by NU. Yet that issue returned when Kipnis published a more comprehensive book criticizing the University’s Title IX procedures, which also describes in-depth her interpretations of cases with two students who filed Title IX complaints. A new investigation found that Kipnis had not violated Title IX policies, but litigation between Kipnis and the students continues. The Foundation also cited the delayed publication of a controversial essay in 2015 that details a sexual encounter between the author and a nurse. 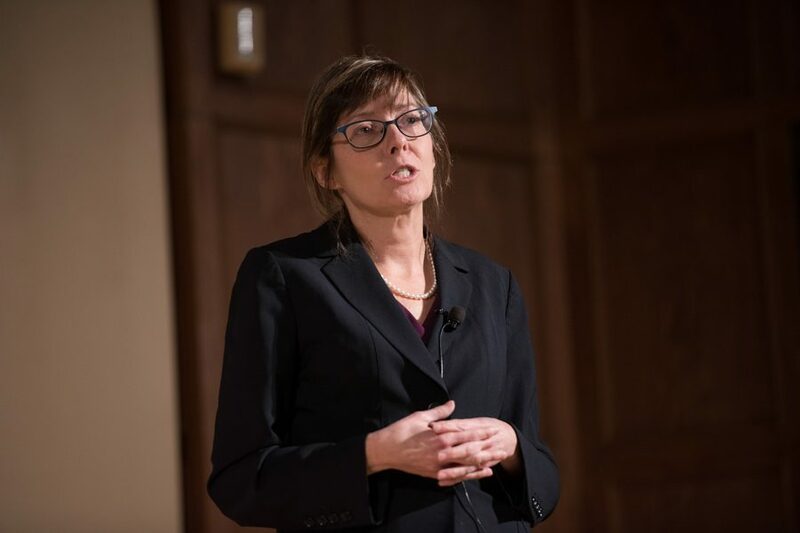 Former Feinberg Prof. Alice Dreger, who was a guest editor for the magazine that published the piece, resigned in protest and continues to call on Feinberg administrators to acknowledge alleged wrongdoing. Communication Prof. Robert Hariman, the Faculty Senate president, said he does not agree with the Foundation’s assessment. “If we’re one of the 10 worst colleges for free speech, then free speech is in very good shape across the campuses of the United States,” he said. Hariman said he feels the Foundation is fixated on these two incidents, while NU generally shows no real trend of hostility toward academic free speech. Hariman also questioned the Foundation’s journalistic standards, calling the Dreger case “old news” that was not reported “fairly” because it only considers one account of a highly contested issue. Hariman said he feels the group also showed poor standards because it cites its own past coverage for evidence of hostility toward free speech. “This is not exactly a careful review of academic freedom and free speech protections and the culture of communication on the Northwestern campus,” he said. Perrino said he hopes the ranking sheds light on the issues and pushes the University to “reinsure its students and faculty that their academic freedom and their free speech rights will not be infringed.” He noted that as a private institution, NU isn’t bound by the same regulations as public universities may be, but said the Foundation believes the First Amendment is a good model of what speech rights should be awarded to professors.